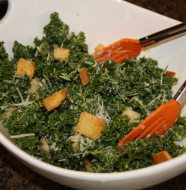 Over the weekend, while we had our house guests, I decided to give this salad a try. I have always been a fan of Asian chicken salads and thought it would make a great light lunch on Saturday. 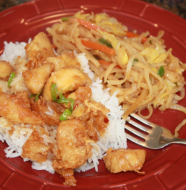 It was a hit with the entire family and super easy to throw together. There is quite a bit of chopping, but I delegated and with all of us helping in the kitchen lunch was on the table in no time. Since we had such a large group eating I didn’t measure my ingredients and just kept adding more veggies to the already large pile of cabbage and lettuce. As my bowl kept growing and growing I was afraid we wouldn’t finish the salad but our large bowl of yumminess was eagerly consumed. 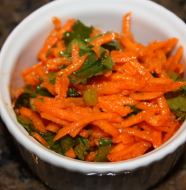 I will be happy to add this recipe to my list of easy and light meals this summer. 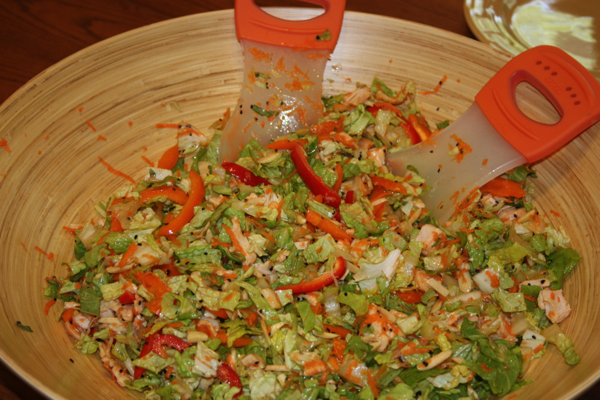 Combine shredded carrot, napa cabbage, romaine lettuce, bell pepper, basil, chicken, almonds, and sesame seeds in a large bowl. 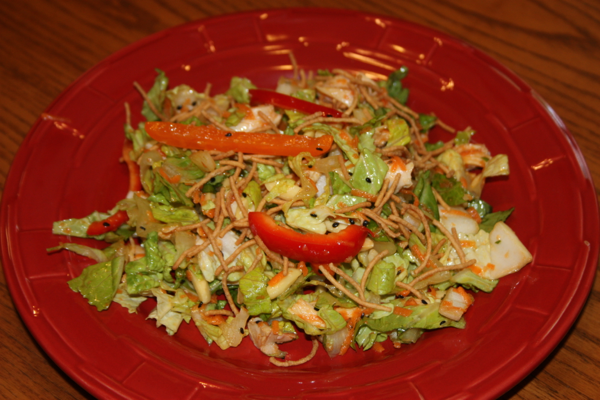 3 Comments on "Asian Chicken Salad"
Wow it was back in 2012 the last time I made this! The boys have been asking me all week to make this salad, amazing they remembered it! I guess I need to rotate this in a bit more often. Thank you!!! !